Register for Camp 1831 today! 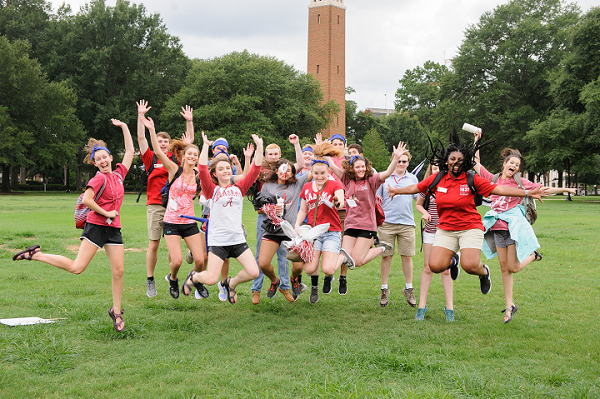 Start your journey at The University of Alabama with a 3-day, 2-night program filled with activities to help you get comfortable on campus, develop friendships, learn about UA culture, and have fun! You will leave Camp 1831 confident and ready to begin life at the Capstone. We promise YOU want to be here! Be the Navigator of the first year experience by serving as an ambassador for the FYE Office! Navigators will represent the FYE at various marketing functions, host weekly walk-in hours for first-year students, and support the office with communication efforts and monthly events. Use your college experience to help navigate students through their first year! Apply by April 15.